Our organization is counted amongst the most distinguished manufacturers, supplier and exporters of Body Powder. Appropriately formulated range also includes talcum powder, foot powder, silky powder, body powder, that is useful for countering the problems of sweat, odor and moisture. Our product range also includes Perfume Talc Powder, Medicated Body Powder, After Shower Body Powder, Foot Powder, Beauty Talc and Dusting Powder With Puff. Owing to its mesmerizing smell, supreme quality and skin friendliness these products are in demand. 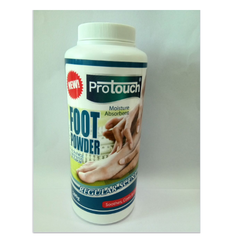 Owing to our rich industry experience, we are offering Foot Powder. These products are manufactured under the supervision of an expert team of professionals, in compliance with the industry set parameters. All these products are stringently examined on varied parameters before being dispatched in the market. 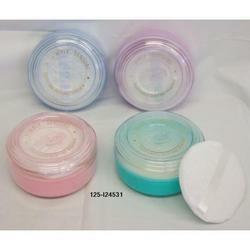 Our domain expertise has enabled us to come up with an excellent collection of Dusting Powder with Puff. Our offered range of this products is manufactured using optimum grade raw material in adherence with the international quality standards. This range of the products is widely demanded by clients from all over the region for giving a smooth texture to the skin. These products are offered in varied size packings to meet the varied requirements of our clients.